The defence spokesman said the sweet exchange was proposed by Pakistan Army on hotline in the morning today. Indian Army and Pakistan Army exchange sweets on the occasion of Eid-Al-Adha at Poonch. The armies of India and Pakistan today exchanged sweets on the occasion of the Eid-al-Azha along Line of Control (LoC) in Poonch district of Jammu and Kashmir. 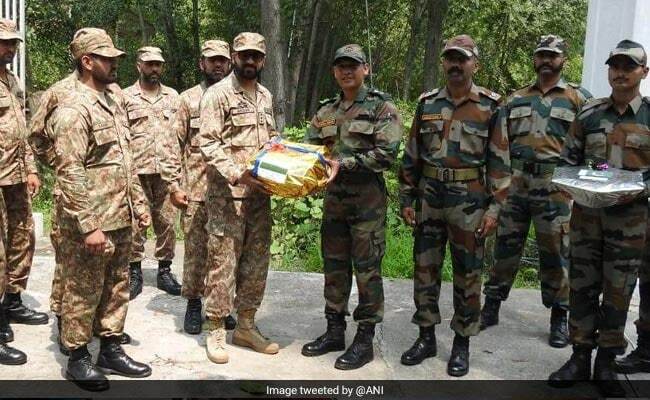 "Indian and Pakistan army exchanged sweets on the occasion of Eid-al-Adha today at Chakan Da Bagh Crossing point along the LoC in Poonch," a defence spokesman said. He said the sweet exchange was proposed by Pakistan Army on hotline in the morning today. Compliments were exchanged in an atmosphere of bonhomie and festivity, he said. The sweets exchange is a gesture appreciated by both countries and is expected to go a long way in promoting peace, harmony and compassion in the true spirit of the festival, the spokesman said.